What an awesome way to spend the day! Hmmm, this book sounds interesting! I think I need to read it! I finished “Early Riser,” which got better as it went along. I am now reading Kory Stamper’s “Word by Word,” which you gave to me, and I am enjoying it very much. 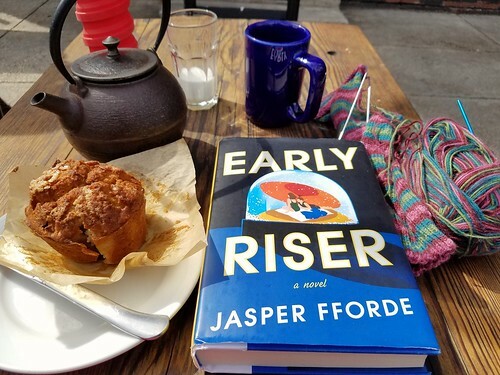 I agree with Karen’s assessment of “Early Riser” getting better as it went along, and without spoiling too much if the presence of zombies in the story is one of your big objections, that gets better, too.